With an area of 3702 sq. km, Goa is the smallest state in India. Yet it contributes considerably to the GDP of India due to its popularity among the tourists. Thanks to the scenic beauty and the serene beaches. The state’s economy majorly comes from the tourism business. Goa is also renowned for its iron and manganese ores. The state also produces other minerals like bauxite and laterite. People visit goa from all over the world as well as from India to visit the famous beaches like Calangute, Palolem, Aarambol, Baga and many more. Apart from beaches, there are beautiful churches and forts which you can visit in Goa. Goa has a number of educational institutes like Birla Institute of technology, Goa engineering college, Padre Conceicao College of Engineering, National Centre for Antarctic and Ocean Research and many more. The lifestyle in Goa is peaceful and Goans know how to enjoy their lives. They work hard and spend on what they love i.e. : Food, Wine, Music and their festivals. With the increasing necessity of the lifestyle wants, the need for the personal loan in Goa is on the rise too. Some of the reasons to apply for a personal loan in Goa include financial emergency, bill payments, goods purchases, weddings, medical needs and so on. If you are looking for an instant personal loan in goa, cash loan apps are one of the best options. These unsecured loans can range from Rs. 5000 to Rs.1 or 2 Lakhs. The process of applying for a personal loan is simple and easy. You can apply for the loan through cash loan apps like CASHe. 1. 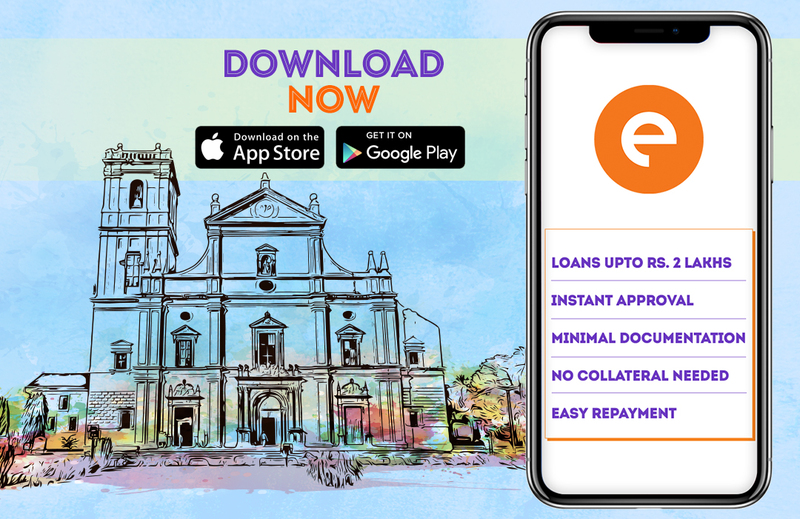 Download CASHe Loan App – You have to download the app on your smartphone and register yourself. 2. Enter Your Details – The app will then ask you for your details, the loan amount and the duration of the loan. As per your convenience, you can enter these details. 3. Upload Documents – The app will then ask you to upload the required documents from your smartphone itself. It takes few minutes for the app to approve or disapprove your loan request. Meanwhile, you can check the status of your loan on the app. Once the loan is approved the money is credited in your personal account within minutes. As these loans are unsecured you don’t have to showcase any assets or be physically present at any office. The documents required are quite simple. You will need your identity proof documents like your Aadhar card, Pan Card, Driving license or Passport. For the residential address proof, you can submit your electricity bill or maintenance bill or Passport. You have to be a salaried employee for being eligible for a personal loan in goa. Your latest salary slips will be required from your current employer. You will have to submit your bank statement with salary credited. Apart from all these documents, you will have to upload your photo for the photographic proof. The process of uploading all the documents on the CASHe app is quite effortless.